I'm very sorry in advance if i'm posting this in the wrong place but i was looking for a particular pic and i came across this site that has several little video clips from interviews and a cute little M/L montage and wanted to share. You'll find them about half way down the page. whoa, I don't know where I've been but I just found this post . That link you posted to is my thread on scifi board I've got behind the scenes and photo montage videos coming out of my ears . Side note: thats so cool that somebody found my thread , I worked a long time looking for those photos and videos. If any body needs any of those videos or something...let me know, I can email them to you or something. Which video were you looking for specifically To_Kiss_A_Frog? The link above to my clips on the scifi board doesn't work anymore and the youtube videos I posted below got deleted but I'm currently uploading them again. I've compiled a list of video clips, some old but most are new. If you have any more clips to share please pm me or reply to thread. Collection of different video clips of cast interviews, etc. xmag wrote: Oh, okay. There's an italian site where you can find clips, here is the link : http://www.fionat.com/roswell/, then click on Download, choose the season (clip 1 for season 1, clip 2 for season 2 and so on...). Since it's in italian, you'll have to guess where to find the clips you need. The video here present I am in developed Video Real (.RM) or Middle Windows Video (.WMV) and is available to to be seen from everything fascinated him of "Roswell". In yellow, Near to every stage, the duration of the video file it is indicated. The ENTIRE first season is now online for FREE! Go there, watch, comment and inspire this website to add the rest of the show! Last edited by singerchic4 on Thu Dec 06, 2007 5:21 pm, edited 1 time in total. Well, I've discovered the power of youtube.com. 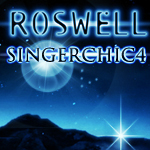 I've posted some of my Roswell videos that I've collected over the years on there. I thought you fellow Roswellians would enjoy it if I shared the wealth. Some of these took a very long time to find, so I hope you guys enjoy! It did. Took forever to load, but well worth it! I especially liked the line at the end "The future shall be written by the young" for some reason. I am also a user of YOUTUBE, and wanted to share my videos with you all as well, now not all my videos are Roswell related--but I thought I should post them anyway. Now, I'm not going to list all of them because there's quite a few...I have 51 videos in total, out of those 34 of those are Roswell related. It's a mixure of Behind the Scenes, and my videos that I make. I'm looking for sites that might have Roswell clips. Not like youtube but other sites. Can someone help me out? Thanks to magamnm for the beautiful banner. darkness_within_me wrote: I'm looking for sites that might have Roswell clips. Not like youtube but other sites. Can someone help me out? Huh, music clips made by fans, or clips from the show ?